The University of New Brunswick’s Saint John campus will be giving high school students the unique opportunity next week to experience the life of a university student. The campus will be opening its doors on Monday, Jan. 29 and Tuesday, Jan. 30 to high school students from all grades for Student for a Day. 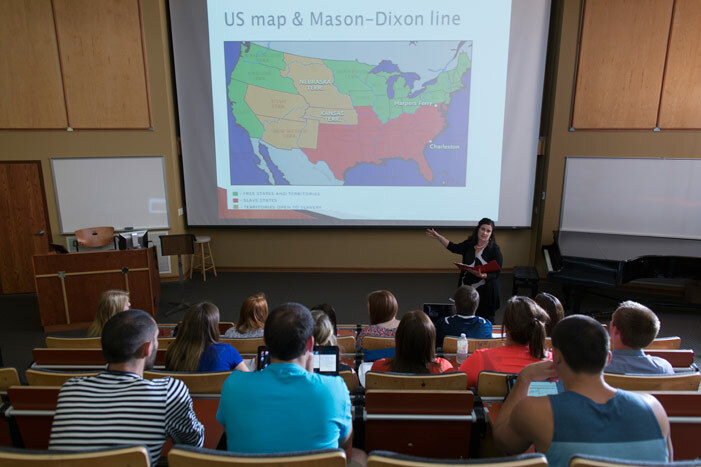 The program gives students the experience of what it’s like to attend a university. “It's a great opportunity for students to not only experience the university classroom environment, but to experience some of the different disciplines taught here,” says Anthony Enman, student recruitment liaison officer at UNB’s Saint John campus. The high school students will create their own experience during the registration process by choosing which day they attend, what courses they would like to sit in on, when they take lunch at the Baird Dining Hall and if they want a campus or residence tour. “University leads you to discover things about yourself, and helps to shape you and your ideas so that you can go out and continue to grow and be successful in whatever it is you choose to do after your degree. It is an experience that lasts a lifetime,” says Mr. Enman. When students register for Student for a Day, they can choose from a variety of courses offered on the Saint John campus, including courses in biology, psychology, business, computer science, information and communications studies and nursing. Those intrigued by computer science will be able to take in a whole day as a student in that discipline on Jan. 29. Students will learn details about the computer science program, be introduced to the university’s high school programming competition, be introduced to coding and meet current members of the UNBSJ Computer Science Society. They will also be able to take in classes such as Computer Science 1083: Introduction to Computer Programming II as well as INFO1103: Data and Information Management, which explores many topics around accessing and handling data including database design, web development, security and privacy. Students interested in attending either the campus-wide Student for a Day program or for Computer Science for a Day can register online any time up to the day of the event. There is no set itinerary for the event as classes start at different times. Volunteers from the UNB community will help students find the classes, show them around campus, help them get acquainted with the campus and answer any questions they have.